Tom and Ryan are candy connoisseurs and enthusiasts. The pair first met in college when they were studying business and discovered their shared entrepreneurial spirit and passion for sweets. Which candies travel best for the holidays? The holidays are a great time to send anyone candy, and luckily, the temperatures are cooler, so most candies travel really well. Hard candy and chocolates are perfect for grandma who lives on the other side of the country, but also make an ideal present for professional networking style gifts or gifts to employees and coworkers. If you’re worried, you can always stick with gummy candy that’s already flexible and won’t get broken in transit. What are the best ways to wrap candy before shipping? Cushion it! 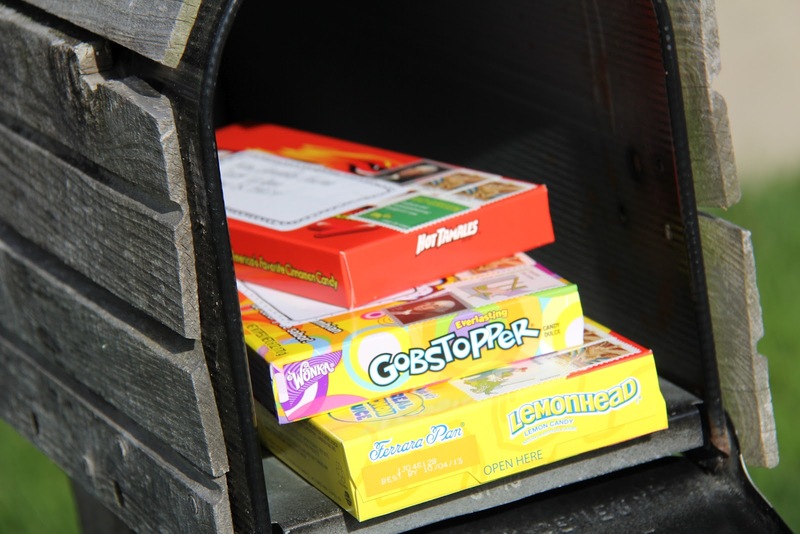 You need to put padding around your candy, so that it doesn’t shift while in the box or get squished/damaged if a clumsy postman drops it. Layer from heaviest to lightest. The most likely damage will come from heavy items crushing lighter and more delicate sweets. Don’t overload a package. The heavier the package, the more likely someone will drop it or cram it under other heavy packages—which can cause damage to your thoughtful sweets. Include ice. If you’re worried about freshness or warmer temperatures, include dry ice. Also, choose a quicker ship time, so your candy arrives as tasty as it should be. How does CandyStore.com keep candy pristine while shipping? We take great care when we package candy—it’s a simple as that! This starts with the carrier we do business with. We only ship with FedEx because it holds its delivery men and women accountable for the condition of the packages they drop off. We also have attentive customer service who are always there to help if an issue arises with the condition of candy. We know people love their candy, so we do all we can to pack it correctly, ship it with responsible carriers, and offer great customer service should they need it. What should someone do if he/she wants to ship perishable candy this holiday? Luckily, most candy is pretty good at staying fresh for a very long time. When kept in a cool dry place, it can stay fresh for months to years. Sugar is a natural preservative and has been used as such for thousands of years. What you really need to look out for with candy is its melting point. Chocolate is something we recommend shipping in cooler months, or sending with dry ice. In the warmer months, CandyStore.com always uses ice with chocolate candies and expedites shipping. If you do the same, it will reduce the heat exposure of the packages significantly. What are common mistakes people make when mailing edibles? You don’t want to try to cram candy (or anything) into a box that it just barely fits into. Leave some room so the box can give a little without putting pressure on the candy. You never know when it’s going to be dropped or shoved into the back of a delivery truck. Also, if you’re shipping bulk candy, stack the candy upright like a book on a shelf versus on top of each other. This way, the candy only has to support its own weight. What are some unique ways people can ship candy? A candy basket is unique because its presentation is almost like a large bouquet of flowers. It also already comes equipped with padding, so when shipped in a big enough box with additional bubble wrap, your candy is safer. Do you recommend a specific carrier to ship candy? We use FedEx because it has a great track record of delivering packages safely and in good condition. Those horrific videos you see of delivery guys throwing packages like footballs or rolling them like bowling balls aren’t from FedEx. Do you have any DIY tips for people who want to order bulk candy, make gifts at home, and ship themselves? If you’re making a candy basket, you’ll mostly want to use individually wrapped candy. King size bars or Theater size boxes tend to work better, since they’re larger and come in smaller quantities per box. Make sure to get different sizes and shapes of candy so you can almost present it in tiers and in an interesting combination of textures, colors, and scale. You can follow our helpful guide for creating dazzling candy buffets and learn some tips you can use with smaller candy gifts. Any other tips you have for candy lovers? Vacuum sealing plastic around the candy basket is an awesome way to ensure nothing falls out of place. Vacuum sealing also keeps candy fresher and makes for a professional presentation. Why should people buy candy this holiday instead of other gifts? It’s hard to figure out what everyone wants. You can make it so much easier on yourself by sending something your loved ones can enjoy right away—and that won’t take up shelf space. Just figure out which candy your friends and family love most, and send them a big basket. If the way to the heart is through the stomach, then candy is your best bet for a thoughtful and well-received gift—At least we think so!